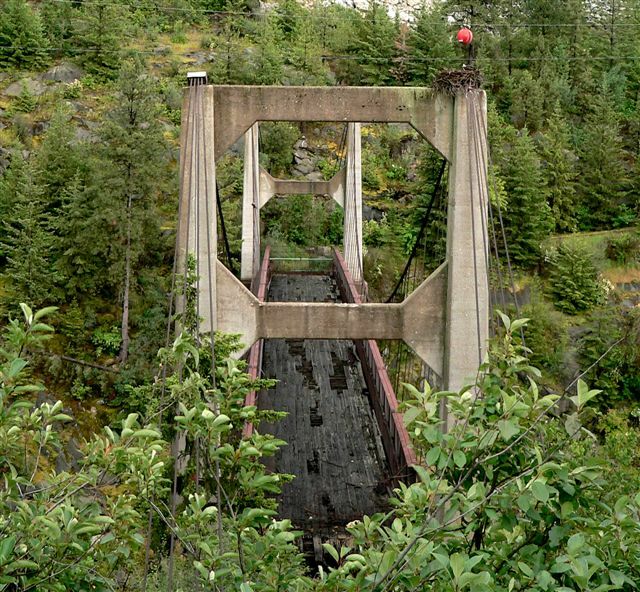 This bridge crosses the Columbia river at Castlegar. As you can see, it is no longer in use. The decking is rotted and looks to be in poor shape as you can see. It is located just below one of the many dams that make they're way down the Columbia on into the U.S. Cheers........thekman. That's a great shot Kman. It's a shame to see these old structures deteriorate.